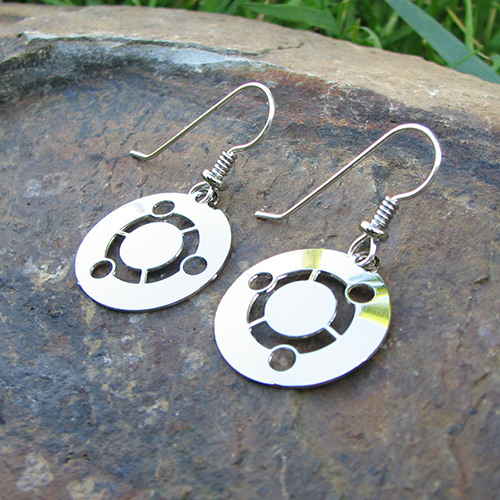 Partimus Blog › Fundraiser: Ubuntu Earrings from Boutique Academia – Now in Silver! Fundraiser: Ubuntu Earrings from Boutique Academia – Now in Silver! Back in June we shared details for our first product-based fundraiser: Fundraiser: Ubuntu Earrings from Boutique Academia. One of the pieces of feedback we received was that people wanted the option to buy these in a silver color rather than gold. 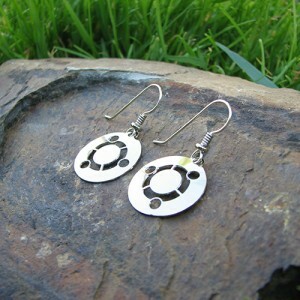 Maile came through and you can now buy rhodium plated Ubuntu earrings! (rhodium is silver colored, but doesn’t tarnish like silver). Just like with the gold colored, $6 of each purchase goes directly to the operating costs of Partimus. Thanks again to Maile and Boutique Academia for this opportunity. This was written by Elizabeth Krumbach Joseph. Posted on Thursday, August 4, 2011, at 4:11 pm. Filed under News. Tagged donations, fundraiser. Bookmark the permalink. Follow comments here with the RSS feed. Post a comment or leave a trackback.